CTEK Power Inc. designs and develops a unique series of high-tech battery chargers for all vehicles. Pit Stop USA is The Online Motorsports Superstore! CTEK Power Inc. designs and develops a unique series of high-tech battery chargers and special solutions for all types of lead-acid batteries for both private and professional use. The cornerstone in CTEK's successful business concept that allows the development of a new category of battery charger is the extensive knowledge of batteries and electronics. 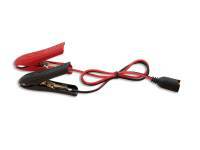 These new battery chargers satisfy not only todayas high demands on battery care, but also take the increasing needs of the growing group of new users into consideration. Safety, simplicity and flexibility are key words and requirements that apply to all the products and solutions currently developed and sold by CTEK. Since our initiation, close to three million battery chargers have been sold in 60 countries throughout the world. CTEK is also a reliable OEM supplier to many of the world's most prestigious car and motorcycle manufacturers. 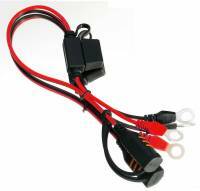 In the world of cars, you will find all kinds of battery charging needs. Sooner or later a car will be left idle for a long period, perhaps when you are on holiday or when it is the family's second car. Obviously, it could be seasonally used cars, recreational cars or vehicles with advanced equipment that draws extra from the battery such as professional vehicles (police cars, ambulances, transport vans, etc.) or the cars of stereo enthusiasts who need an energy supply for their stereo. The battery charging needs are endless and it is obvious that each car owner should have a battery charger; it is always cheaper in the long run and a lot more convenient to prevent unnecessary problems before the moment of urgent need comes. The question is actually what type of battery charger is best suited for the various applications. 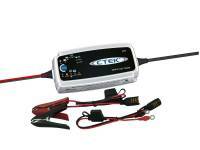 We feature CTEK Battery Chargers at low everyday prices!